Stephen W. Morris is a pattern finding scientist in the most vivid sense. I am particularly taken with these images of Chladni plates (the violin shape at 762.4 Hz and the square at 5,875.5 Hz). A thin metal plate shaken vertical by a post in the centre will vibrate in a certain mode pattern. The pattern can be made visible by sprinkling white sand or salt on the plate. The grains are shaken off the areas where the plate is moving most violently (the anti-nodes) and collects on the non-moving regions (nodal lines). This technique was originally invented by Robert Hooke, but made famous by Ernst Chladni in the late 18th century. Violin makers use Chladni Figures to tune boards used to make violins. 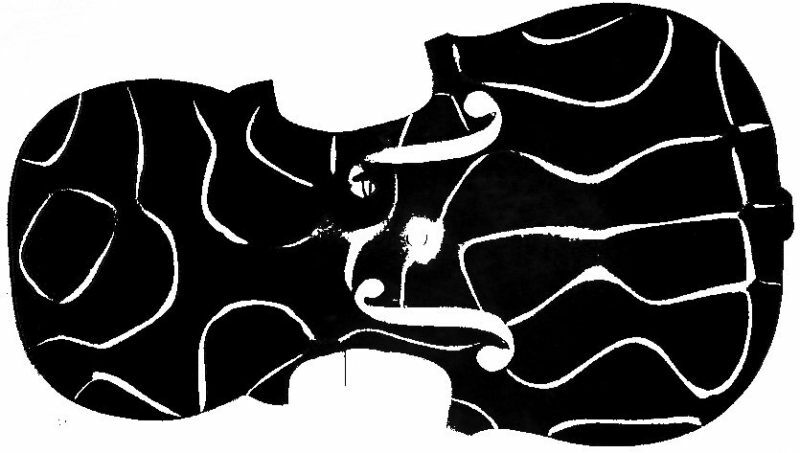 Here the violin is a sheet of aluminum about 1 meter long. 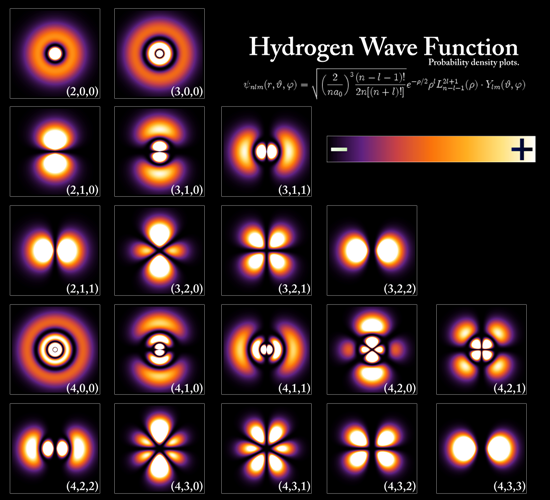 In response, I add the electron probability density for the first few hydrogen atom electron orbitals shown as cross-sections.